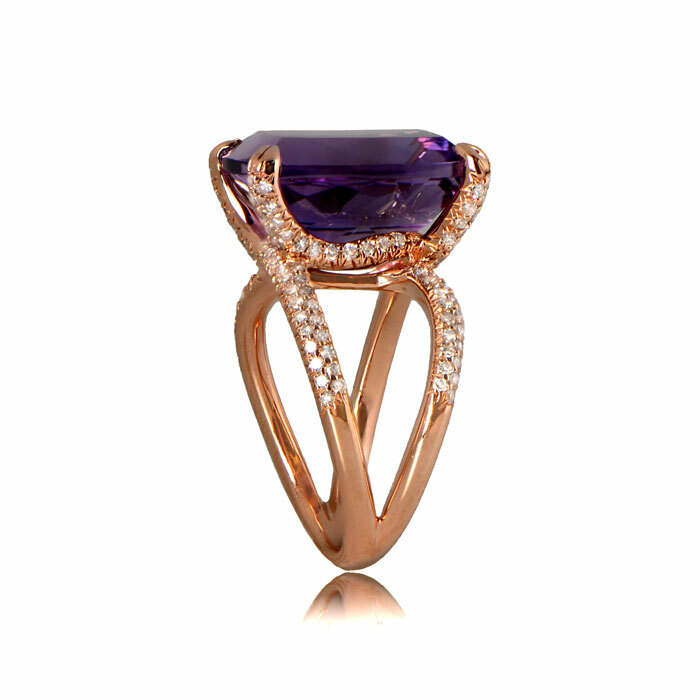 The Richmond Ring is set in 14K rose gold and presents a stunning 16mm x 14mm cushion cut amethyst in the center. Two rows of diamonds run alongside the split-shank that twists under the gallery and falls down the shoulders. 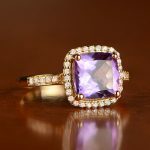 The center amethyst weighs 10.87 carats and the diamonds have a total weight of 0.68 carats. 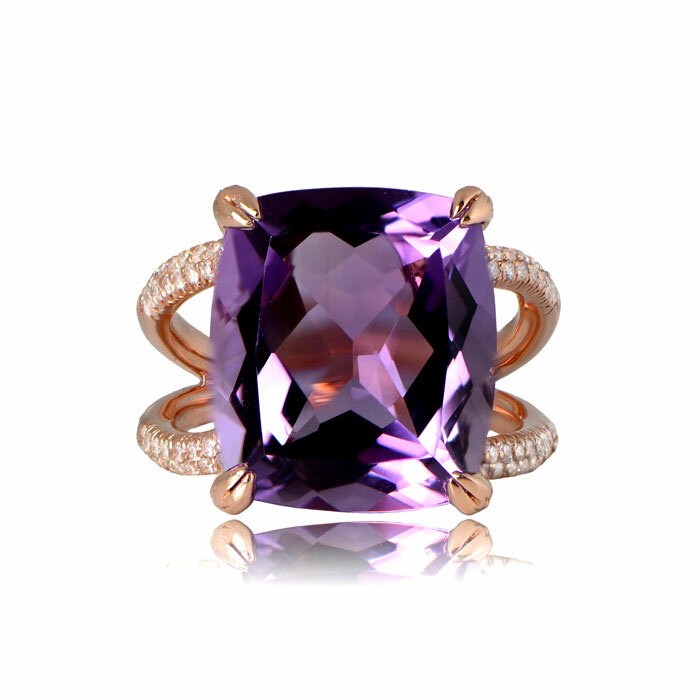 This ring can be resized to fit any finger. 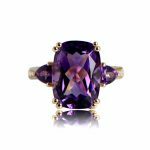 SKU: RR02259AM Categories: Amethyst Rings, Vintage Cocktail Rings - Contact us and request additional pictures.